Laia Fàbregas (Barcelona, ​​1973) has a degree in Fine Arts from the Universitat de Barcelona. Between 1997 and 2010 she lived in the Netherlands, where she worked as a secretary in a bank, graphic designer in a company of industrial pumps, accounting assistant in an art festival and assistant in an art gallery. She also got the Certificate Arts and Culture management from the Erasmus University Rotterdam. In 2003, she was working as a consultant while she enrolled at the Gerrit Rietveld art school in Amsterdam to study a new speciality of art and text. That year she regained some stories she had written in Catalan when she was nineteen, about a girl who only had nine fingers. She translated several paragraphs into Dutch, and continued writing. In January 2008 the Dutch publishing house Anthos published Het meisje met de negen vingers. The book received praise from critics in the Netherlands and has been translated into Spanish, Catalan, French, Italian, Danish, Norwegian and Turkish. In 2010 Landen was published, in Dutch, Spanish, Catalan and French, and in 2013 Gele Dagen came out, published in Catalan and Dutch. 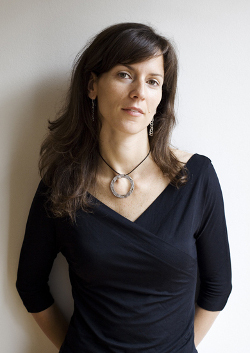 Since February 2012, she teaches creative writing at the writing school Laboratori de Lletres in Barcelona. Since February 2014 she is also partner and co-director of the school with founder Laia Terrón.